No one wants to sit through research on an empty stomach. That is why we are pleased to announce the return of our Crab Cake Promotion for all in-house projects conducted during the months of August and September. Book our facility and you can enjoy 4 free crab cakes on the house. 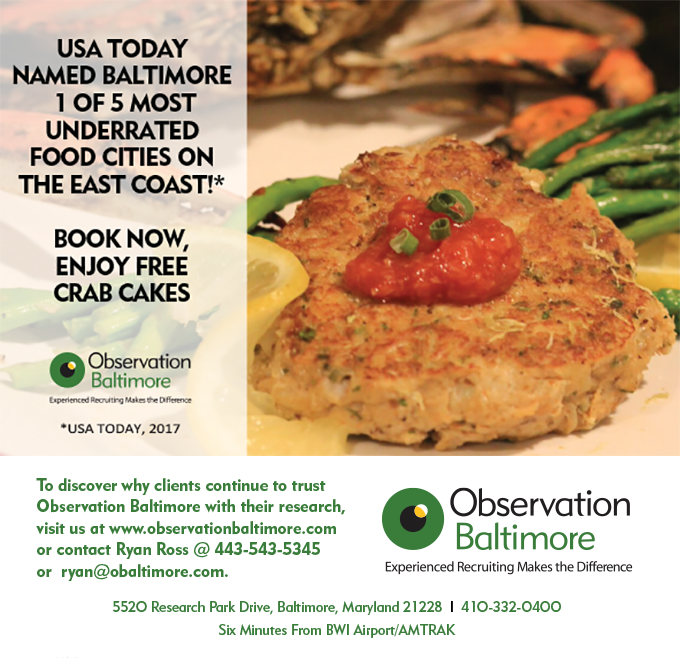 It is our little way to give our clients a small taste of Baltimore. To book your next project in Baltimore, contact Ryan Ross today @ 443-543-5345 or ryan@obaltimore.com. This entry was posted on Wednesday, June 28th, 2017 at 2:00 pm. Both comments and pings are currently closed.